When Melvin Dwork passed away at the age of 94 in June, he was rightly remembered for his successful career as an interior designer in New York City and for his persistence in fighting a dishonorable discharge from the Navy because he was gay. But at Parsons School of Design, he will also be remembered for his steadfast support of the leading art and design school. Dwork, an interior designer and LGBT activist, came from Kansas City, Mo. to Parsons in 1942, enrolling in the school’s Interior Design program (then called the Interior Architecture and Decoration program). 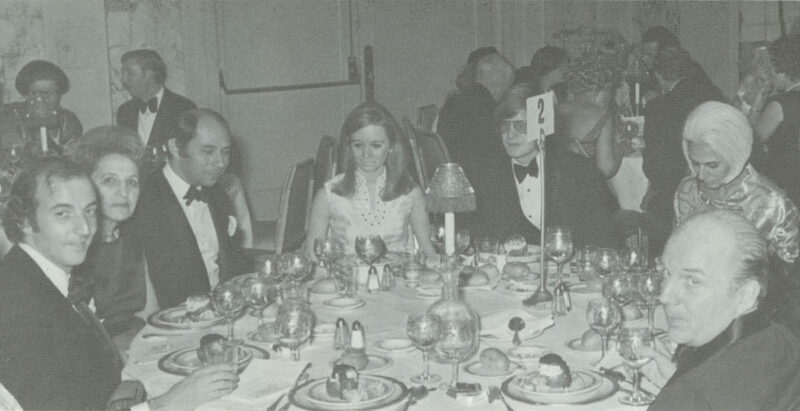 During the 1950s and 60s, he was actively involved in Parsons Alumni Association’s New York Chapter, which raised scholarship funds, and became a member of the school’s National Alumni Council. In the 1990s, he was a member of the Parsons Board of Overseers. Born in Kansas City in 1922, Dwork attended the Kansas City Art Institute and Parsons before enlisting in the U.S. Navy during World War II. After his partner was arrested and revealed that he and Dwork were together, military police arrested Dwork in Charleston, S.C. in 1944. He was imprisoned, labeled “deviant” by psychiatrists, and discharged as “undesirable.” After leaving the Navy, Dwork returned to New York City, taking additional classes at Parsons and later, forming the design firm Dwork-Maguire with Parsons alum James Maguire. In 1993, he was inducted into the Interior Design Hall of Fame. In 2011, after years of trying to remove the “undesirable” discharge on his record, Dwork, supported by advocates for gay and lesbian military personnel and veterans, won his case, according to The New York Times. The Navy officially changed his discharge to honorable.